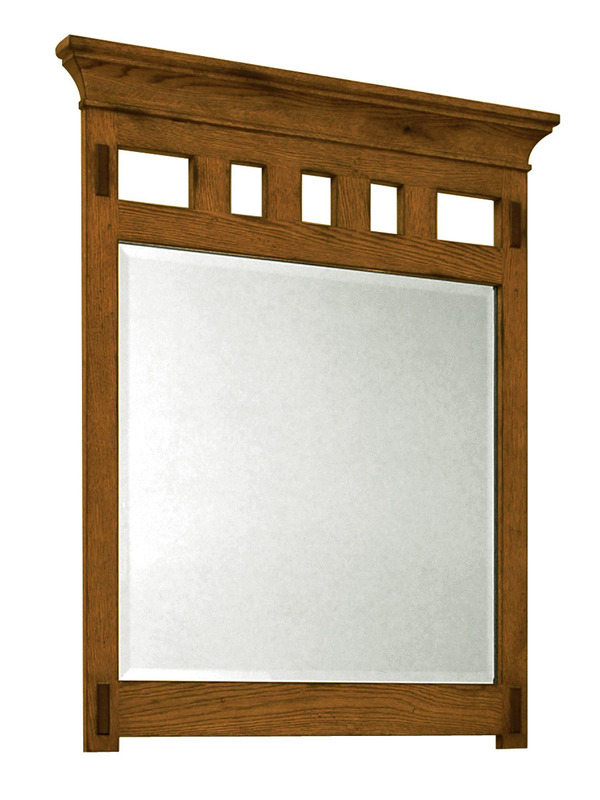 The 48" American Craftsman Single Vanity is the largest model in the American Craftsman Bath Vanity Collection. It features the same gorgeous design, but with double the storage space and a bigger look for a bigger bathroom. 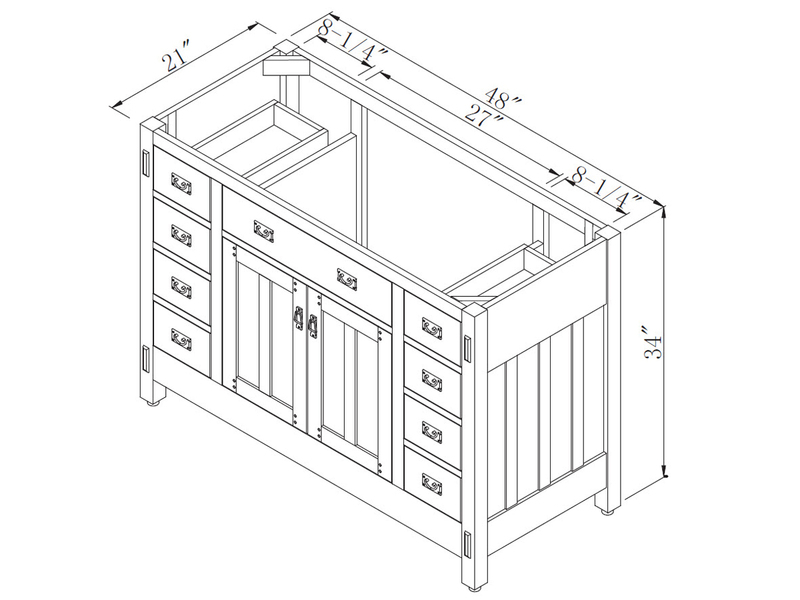 With 4 functional drawers on each side, giving you a total of 8 compartmentalized storage space for your bathroom necessities. 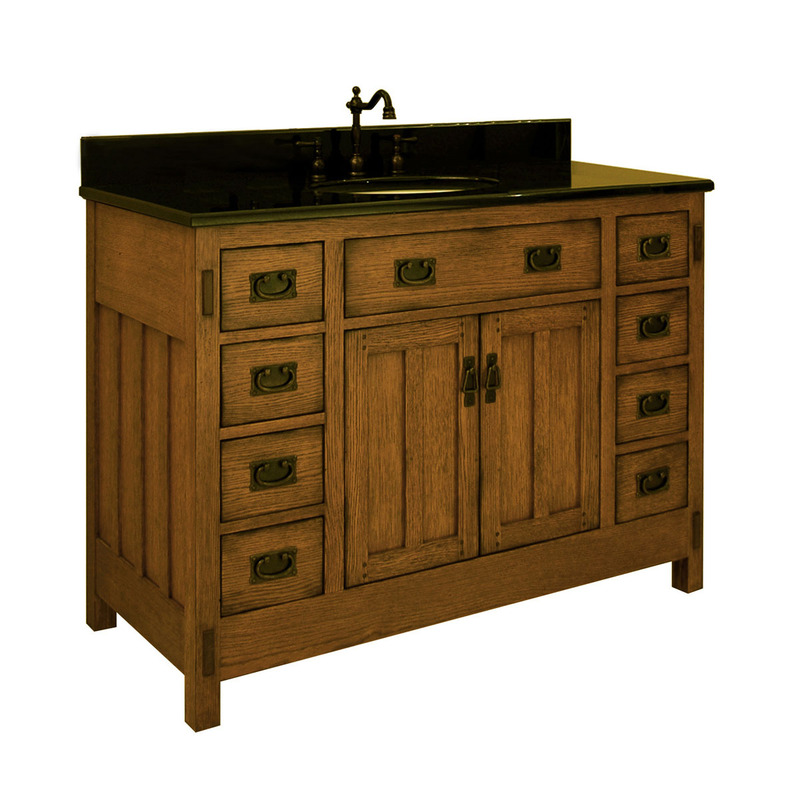 Each drawer is equipped with soft-closing glides that fully extend for long-lasting and easy function while the fronts are accented with artistic, period-style antique bronze hardware to give it a finishing touch. 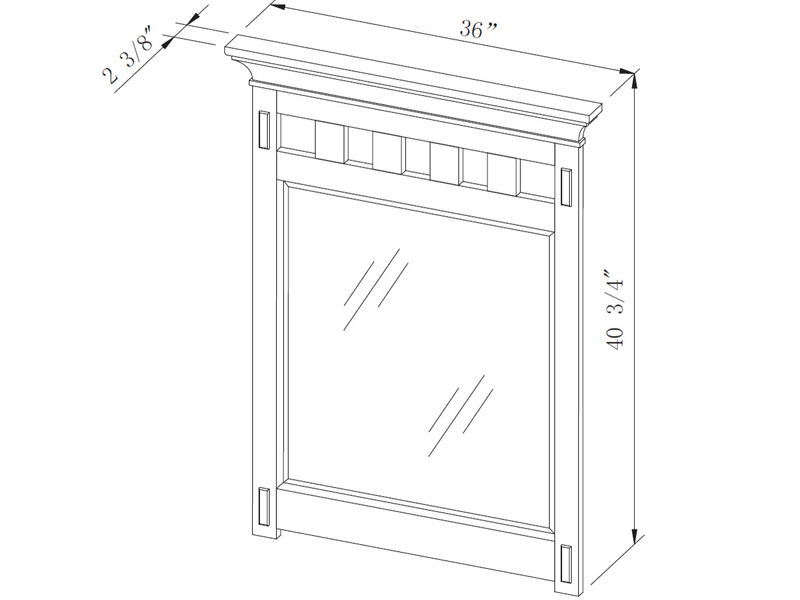 Levelers on each feet allow you to adjust the height of the American Craftsman Vanity, while the optional mirror is perfect for adding the final touch to the American Craftsman Vanity to give it and your entire bathroom an artistic appeel that will do wonders to the aesthetics of any home! 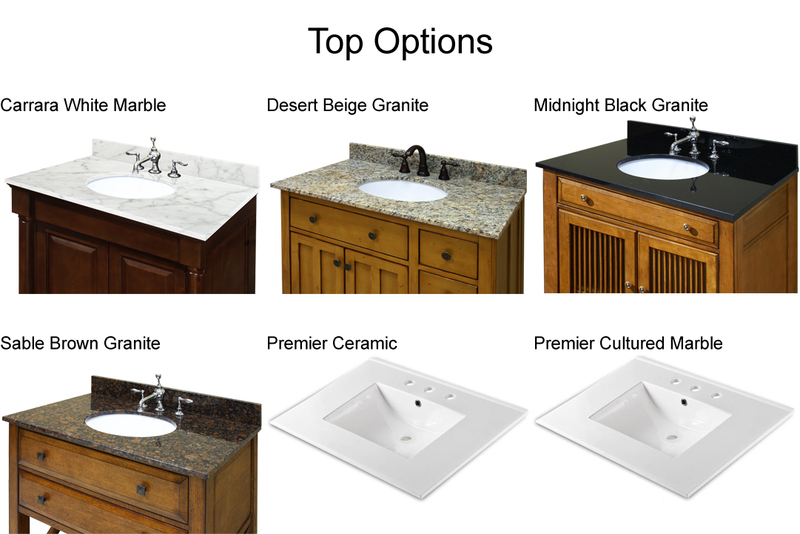 Choose from any of the 4 counter top options to complete your new vanity with the utmost in quality! Each top option is pre-sealed and pre-polished to a smooth finish and is includes a pre-mounted undermount white ceramic sink!